LVMAC is happy that this occurrence, long sought by some of the Wilkes-Barre staff, has come about. Kudos. What: The Women Veterans Program at the Wilkes-Barre VA Medical Center is inviting all Women Veterans to a presentation by Linda Armstrong of Dress for Success. Dress for Success is an organization aimed at enhancing the professional development of women. The program offers a variety of resources, including no cost professional attire and skills based development activities, necessary to build and enhance a successful career. VA Eligibility and Human Resource Staff will also be available to answer your questions regarding enrollment for VA Services and VA employment. 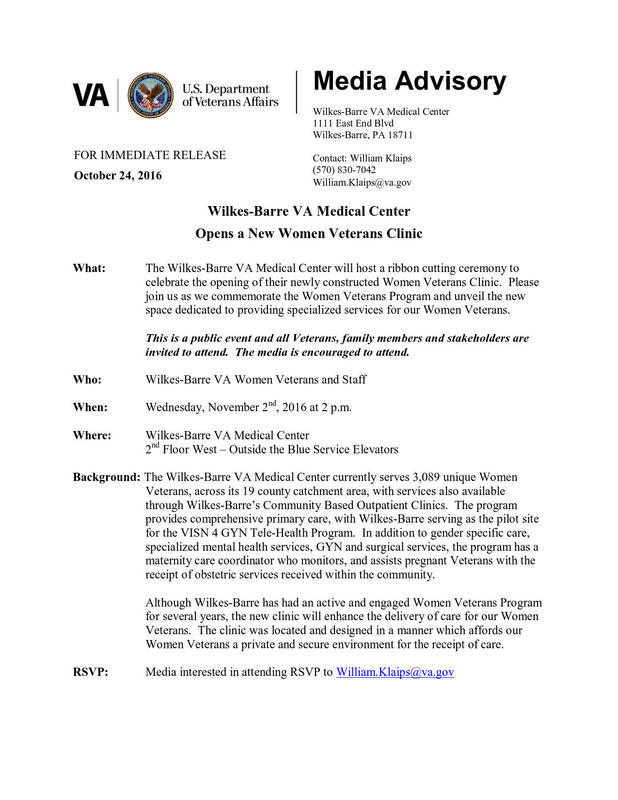 For more information, contact Pat Conroy, Women Veterans Program Manager, at 824- 3521 ext. 7517 or Patricia.Conroy2@va.gov. No, it is not Marine recruiting we’re talking about, but instead a Habitat for Humanity of the Lehigh Valley request for veterans as construction volunteers. 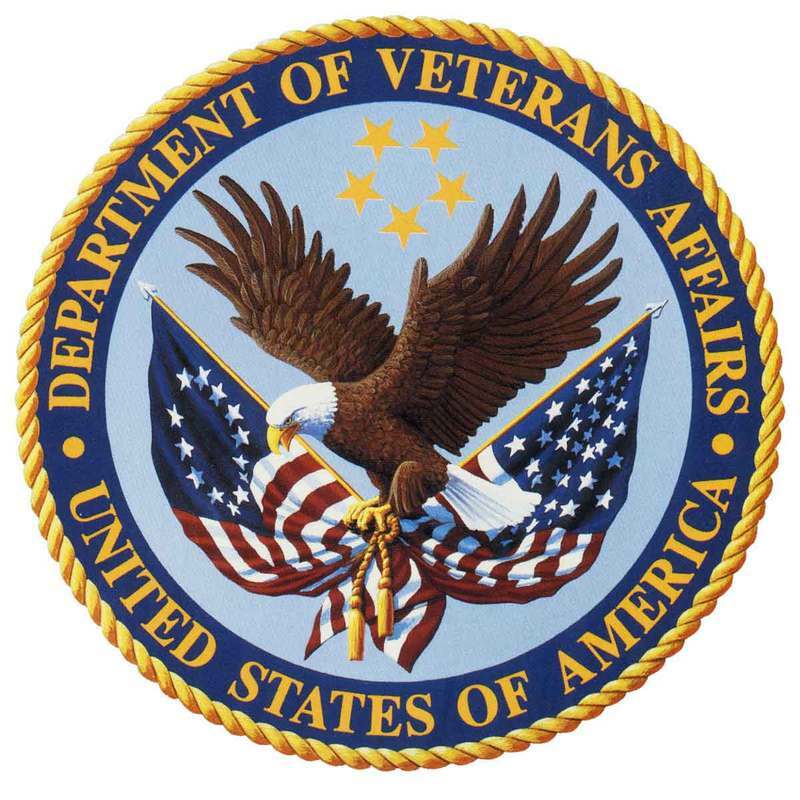 The Pennsylvania Department of Military and Veterans Affairs (DMVA), under which the Office of Veterans Affairs is found, is hosting its first Pennsylvania Women Veterans Symposium (PWVS) on March 8-10, 2013, at the Wyndham Hotel in Gettysburg. 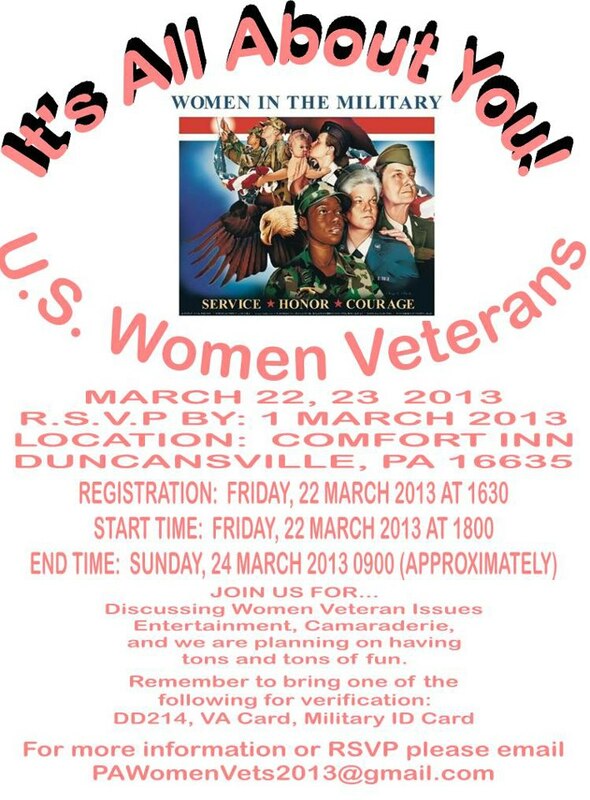 All Pennsylvania women veterans, regardless of period of service, are welcome. ALL WOMEN VETERANS IN PENNSYLVANIA, STAND UP! When: From 22 March at 4:30 p.m. to 24 March at about 9 a.m. Registration starts 22 March at 4:30 p.m. Bring a DD Form 214 or its equivalent, VA Card, or Military ID Card. Program starts 22 March at 6:00 p.m.